Have you been sucked into the new craze that's sweeping the nation? If you haven't heard of adult colouring books then I've no idea where you've been hiding for the past six months - they are EVERYWHERE!! Who really gets pleasure from colouring in their child's Peppa Pig colouring pad? It doesn't matter how neat your colouring is, or how amazing your shading might be, it will always just be a picture of that slightly irritating pig. 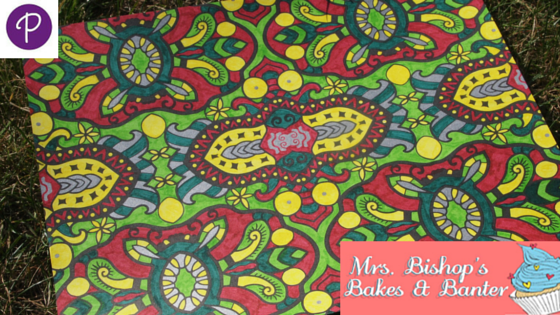 Now, give me a colouring book with stunning patterns, enchanted forests, cute animals, terrific tessellation, awesome illustrations, and magical mandalas and then you might be on to something! I'm totally hooked! I now own three adult colouring books, as well as a set of lovely colouring pencils and gorgeous felt tip pens - grown up ones, ones that aren't allowed anywhere near children (or husbands, for that matter). 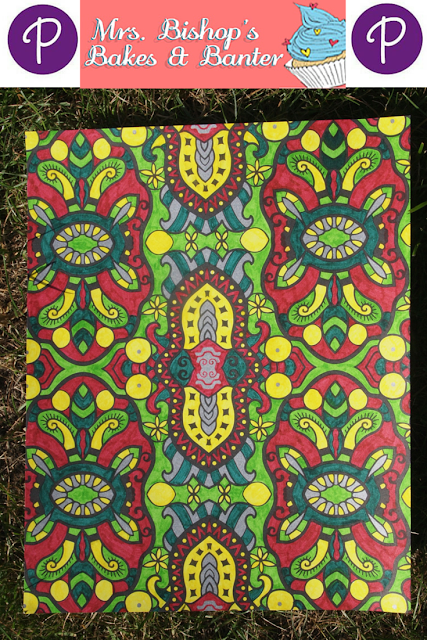 I find the process of colouring in so relaxing: it's an activity where you can really switch off yet still be creative in your choice of colours, and combinations. I'm one of those annoying people who likes to be busy all the time. I especially like to keep my hands occupied otherwise I'm a terrible fidget - I think this is why needle crafts like crochet and knitting have always appealed to me so much - because I can keep my hands busy but still sit and relax in front of the TV. So, when I'm not working on my crochet blanket in the evenings, then you can usually find me with my colouring books open, creating a masterpiece. Who wouldn't love to attack these beautiful images with a splash of colour? 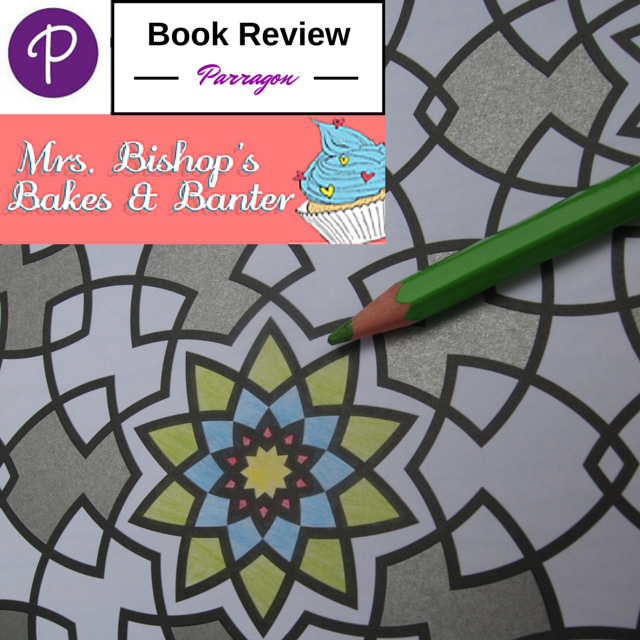 This month I've been testing out one of the latest adult colouring books from Parragon: 'Inspired Colouring Patterns' features over 100 stunning designs from intricate arabesque pieces to hypnotic mandalas - all of which will help you to inspire more mindfulness and creativity in your life. 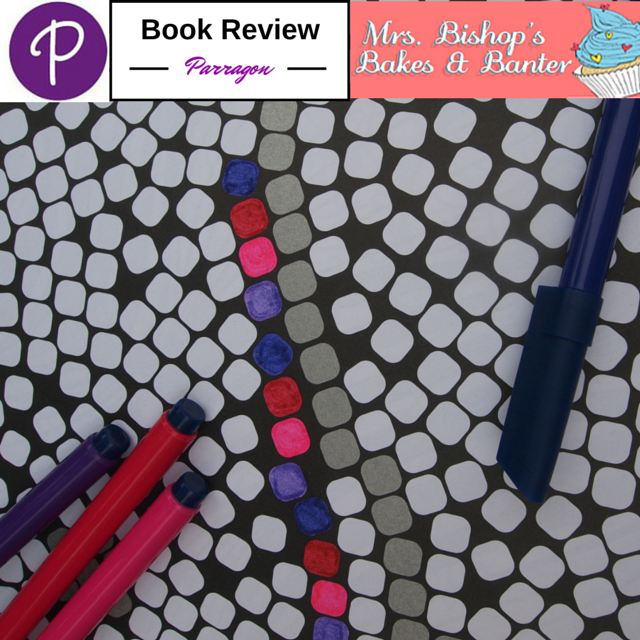 The book will bring out the inner artist in everyone - and quite brilliantly you don't have to be an amazing illustrator to be able to create stunning artwork thanks to this book - everyone can colour within the lines, right? Not only is colouring in deeply relaxing for me, it is also hugely nostalgic. Every time I open my colouring books I think of my lovely Nanny Vera, who sadly passed away when I was in my late teens. She was hugely creative and loved to draw - in fact, she was way ahead of her time because she used to create adult colouring pages for herself by drawing round a variety of different shapes items collected from around her house - she'd overlap them and create a crazy black and white pattern on a page of A4 paper, and then she'd spend hours with her colouring pens neatly creating the most dazzlingly colourful pages. Bless her! In fact, I even remember getting her to colour in my homework for me when I was bored, or running out of time - she never minded, and always did a blinding job. Good old Nan! I wish she was still alive for many, many reasons, but mainly because I'd love to buy her a whole collection of adult colouring books and pens, and then get to see her face when she opened it...it would be a truly priceless moment. So, I've been channelling my inner Nanny Vera and have enjoyed colouring some pages from my beautiful new book, thanks Parragon! There's something wonderful about starting a fresh page in a colouring book, even at 28! The book is really beautiful quality, the paper is thick and sturdy and the images/patterns are faultless. 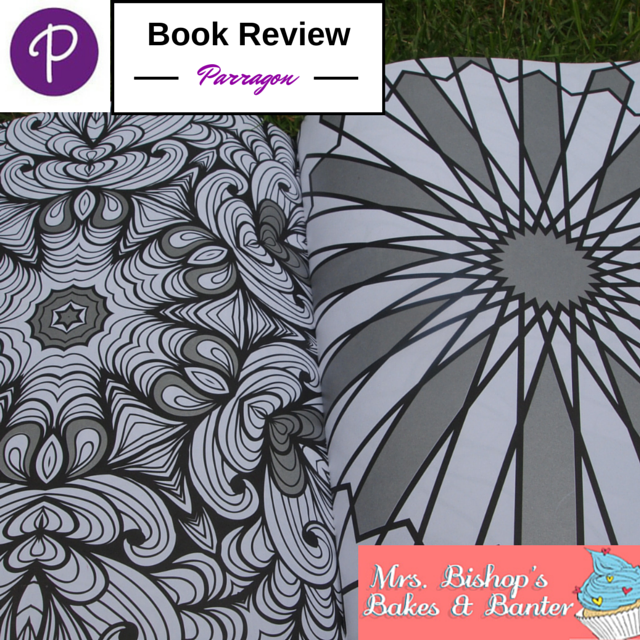 Some of the patterns contain some wonderful silver metallic detailing as well as the black/white which really adds to the overall look of the pages, making them even more eye catching. 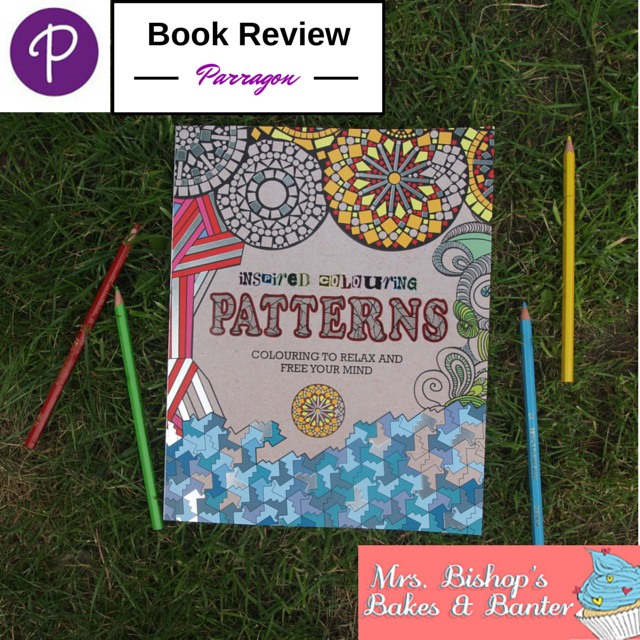 A stunning double page spread from 'Inspired Colouring Patterns' from Parragon Books. What I loved best about this book compared to other adult colouring books I own is that the pages come out really easily, with no ripping, which means you could use your finished pages in so many ways once coloured in - why not frame them as a gift, use them as wrapping paper, or for paper crafts/scrapbooking. 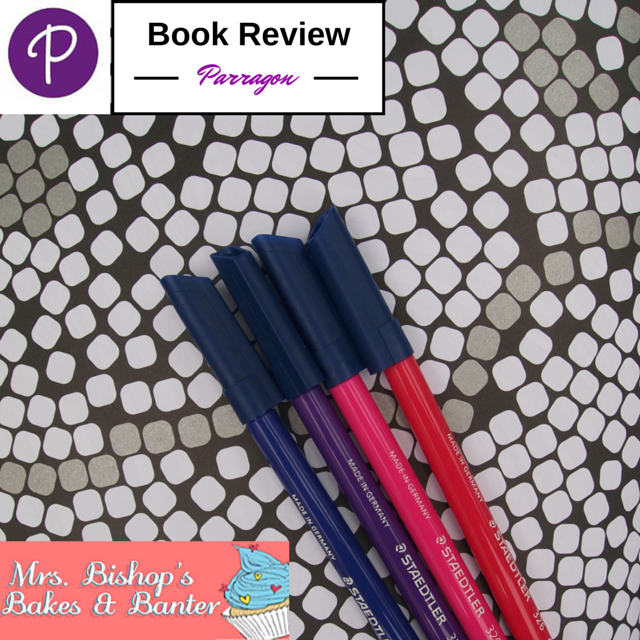 If you haven'y tried adult colouring then I really recommend it, a great way to switch off, and if you were feeling super-generous a great way to play with your little ones...that's if they can stay within the lines though, naturally!